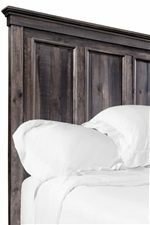 This media chest is a functional and dynamic addition to your bedroom. 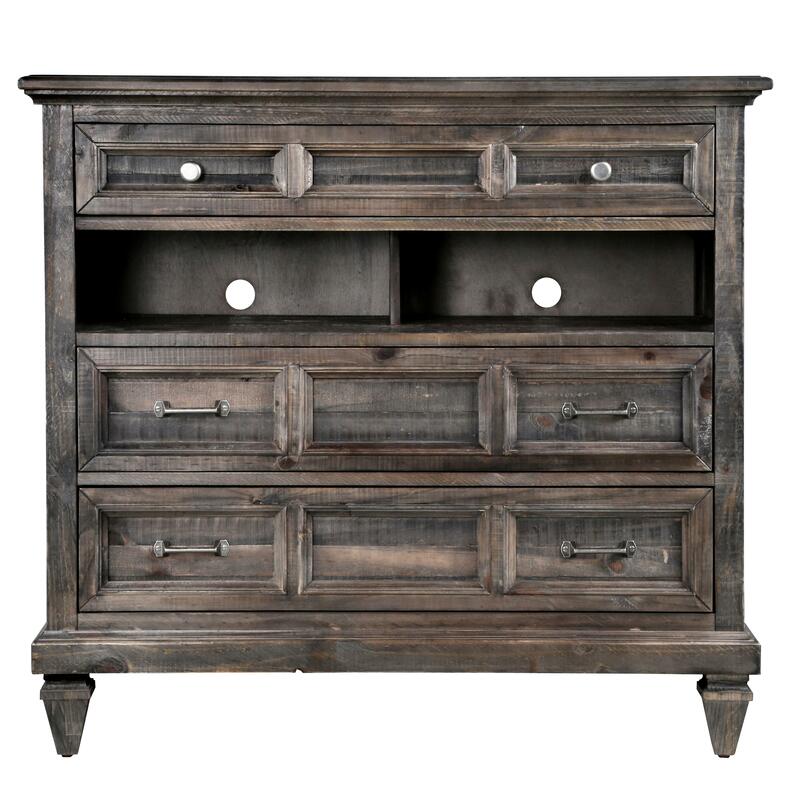 Three drawers and two open compartments give you plenty of room for storage, and wire management makes this the perfect chest for a TV. 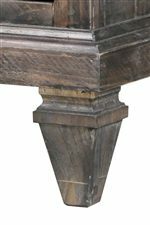 Ball-bearing metal guides and French and English dovetail drawers make this piece durable and easy to use. 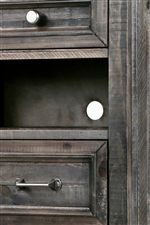 Brushed pewter drawer pulls and knobs add to the rustic appearance, and a felt-lined top drawer lets you safely store choice items. The Calistoga 3-Drawer Media Chest with 2 Open Compartments and Wire Management by Magnussen Home at Miskelly Furniture in the Jackson, Pearl, Madison, Ridgeland, Flowood Mississippi area. Product availability may vary. Contact us for the most current availability on this product.